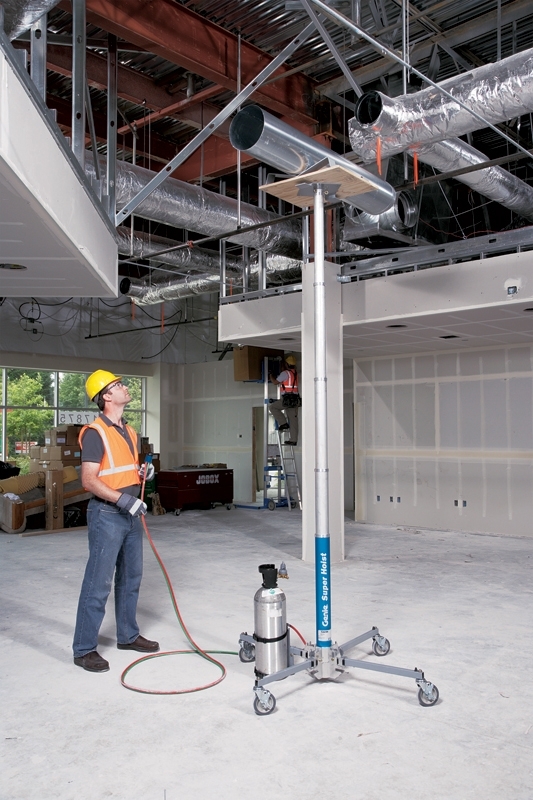 The Genie GH™-5.6 Air Hoist is completely portable and only weighs 37kg. 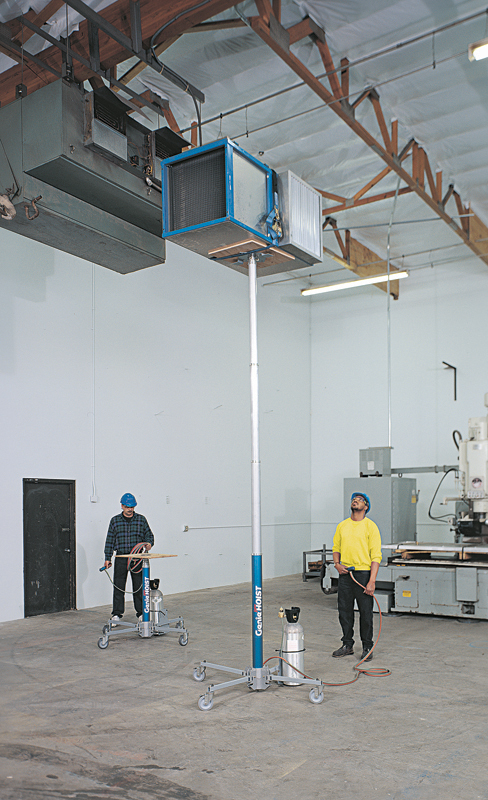 The Genie GH-5.6 Super Hoist can lift 113kg to a height of 5.60 metres and is powered by a compressed bottle. The Genie Hoist is as popular today as it was when it was first launched in 1966.